We know you adore a free paper download and our Back to School inspired designs are a real treat to craft with! Whether you’re crafting for kids or the teachers in your life, they will love these inspiring papers! Get the kids to transform one jam jar into this sparkly masterpiece! Our Dovecraft Enamel Effects and glitter glues are fantastic to upcycle with and the silhouette die cuts will add a lovely finish to their project. We all love to spruce up our home décor and with our Scrabble Art frame, it couldn’t be easier. Pick a favourite papercraft collection and get wordy with the Simply Creative Alphabet stickers! Wanting to use your First Edition die set to its’ full capability? This month, Maxine took you step by step on how to use the Fun Fair dies in 3 fabulous ways! If you’re not very good at keeping your plants alive (Don’t worry, we are just as bad) why not craft a paper plant? It will look so pretty in your home and you will never have to worry about watering it-perfect! Take your card making to the next level with our latest card shape of the month tutorial! This dynamic design is easy to achieve and will definitely impress your friends. If you’re struggling to add a personal touch to your wedding invites quickly, our tutorial will be a life saver! Find out how to create this cute invite in a few steps, we’re sure you’ll whip up a batch in no time. The new school year is fast approaching so get the kids ready by personalising their stationery! It will be so easy to transform their pencils with the First Edition Deco Mache papers and with our variety of designs, you won’t be stuck for choice. We love incorporating a fabric feel to our crafts so we took you step by step to create a faux cross stitch card with the First Edition Markers and our free template! It’s such a lovely make and can be used for your home décor too. 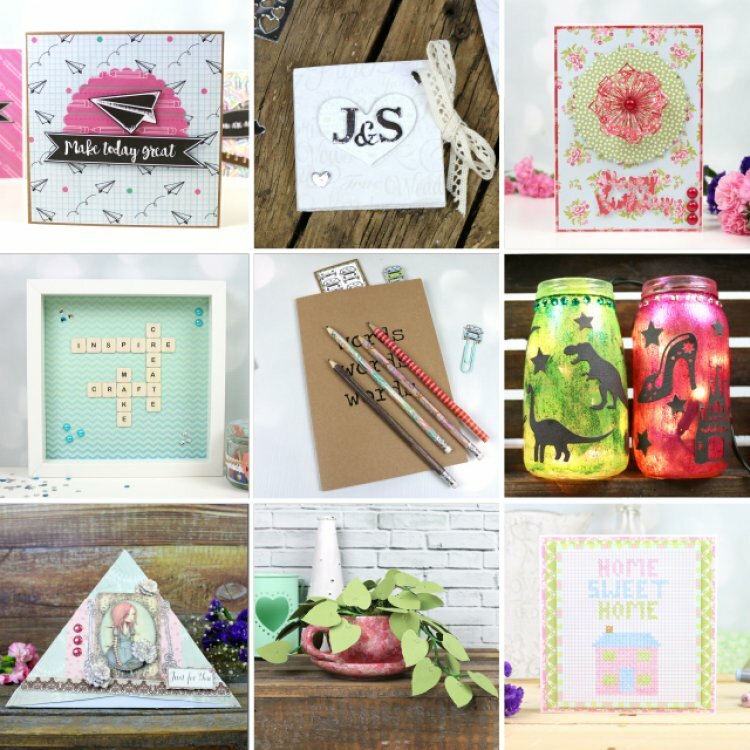 We would love to see your inspired makes so don’t forget to upload them to the project gallery and to #trimcraft when uploading on social media!